Andrea’s Gerard Street Bakery is a culinary treasure located in the hustle and bustle of East Chinatown in downtown Toronto. In such a lively part of town, it’s easy to miss this hidden gem. We managed to spot the bakery during our drive along Gerrard Street on our recent trip to Toronto, but due to time constraints, did not get the chance to stop in. Thanks to the generosity of a friend, we were recently able to sink our teeth into some of Andrea’s mouth-watering creations. Andrea’s home baked goods can best be described as satisfyingly delicious comfort foods. Her special treats all have that melt-in-your-mouth baked goodness – the kind that goes so well with a fresh hot cup of coffee or tea. It’s no surprise that Andrea’s baked goods are delicious. Andrea has extensive training from George Brown College where she majored in the pastry/baking program. Baking is in Andrea’s genes. She comes from a long line of talented bakers and cooks. Both of Andrea’s grandmothers, and her mother, made careers out of their culinary talents. I’m a cookie connoisseur (there IS such a thing, right? ), so I had a pretty big smile on my face when I was presented with a couple of varieties of Andrea’s cookies: her Classic Chocolate Chip cookie, and her Peanut Butter cookie. Both were absolutely delicious, with the Peanut Butter cookie being my favourite, simply because it was so smooth and literally melted in my mouth. 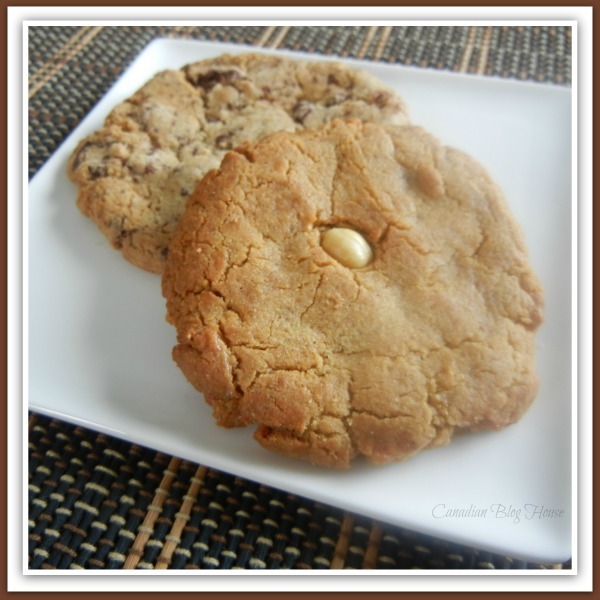 Chocolate and peanut butter are one of my favourite pairings. For those of you who also love the combo of chocolate and peanut butter, Andrea makes a Gluten-Free Peanut Butter Chocolate Chip Cookie. I bet it’s tasty! When I’m not eating cookies, one of my favourite snacks is cheese and crackers. I’ve just added one of Andrea’s specialties to my “favourite cracker” list – Andrea’s “Seedy Crackers”. 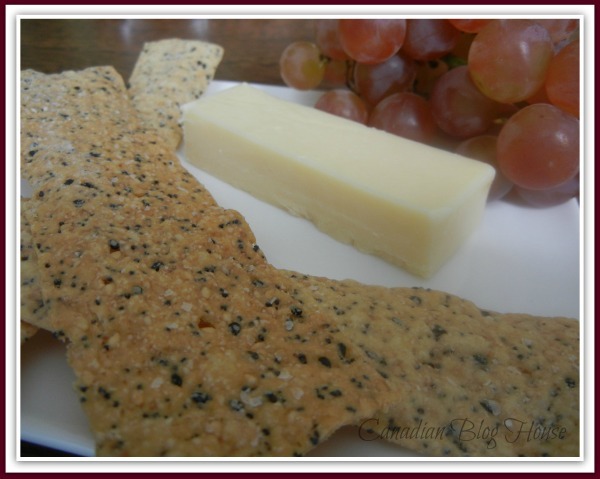 Love the name…and the taste and texture of these home made crackers. Made with Nigella seeds, sesame seeds and poppy seeds, “Seedy Crackers” pair up nicely with just about any cheese out there. They are full of great flavour and I love their crunch. “Seedy Crackers” are one of Andrea’s own creations. My boyfriend is a huge fan of butter tarts. Let’s just say, he knows his butter tarts. He is my “go-to” butter tart critic. So of course, we just had to try one of Andrea’s Gerrard Street Bakery Butter Tarts. According to my boyfriend, butter tarts are best served with a little heat from the microwave. Just a touch. Enough to get that inner buttery filling a little melted. The result? Four buttery thumbs up! Andrea’s Butter Tarts are sure to please any Butter Tart fan out there. I’m not a huge Butter Tart fan myself, but I found these pretty irresistible. We were left licking every last bit of buttery filling off our fingers. They were that good. Ever had an Empanada? Time to try one if you haven’t. I was introduced to Empanadas by the same friend who introduced me to Andrea’s Gerrard Street Bakery. Empanadas are a Spanish pastry turnover filled with variety of tasty ingredients (beef, onion, garlic, spices, etc), and are either baked or fried. To me, Empanadas are one of those appetizers that you could literally make a meal of, and Andrea knows how to make awesome Empanadas. My friend brought us a few of Andrea’s Empanadas to try, and all I can say is, I was left wanting more. MANY MORE! I could have eaten a whole plate of those Empanadas (at the expense of my thighs, of course!). If you are anywhere near Andrea’s Gerrard Street Bakery, you MUST stop in and try the Empanadas. I dare say you won’t be disappointed! I would love to show you a photo of Andrea’s Empanadas, however, it would appear that I dove into the yummy pastries and finished them off before I had a chance to pull out my camera. So now you’ll just have to make a trip to Andrea’s Gerrard Street Bakery to see them for yourself! Andrea’s Gerrard Street Bakery has teamed up with a number of local partners like Berretta Family Farms, Blackbird Baking Company, and ChocoSol Chocolate Traders, to supply the bakery with delicious, wholesome ingredients that Andrea uses in her recipes. Andrea uses organic dry goods and produce whenever possible. Andrea’s Gerrard Street Bakery offers so much more than what I’ve highlighted here. Take a look at the menu and you’ll see that this bakery offers something to please everyone’s palate. 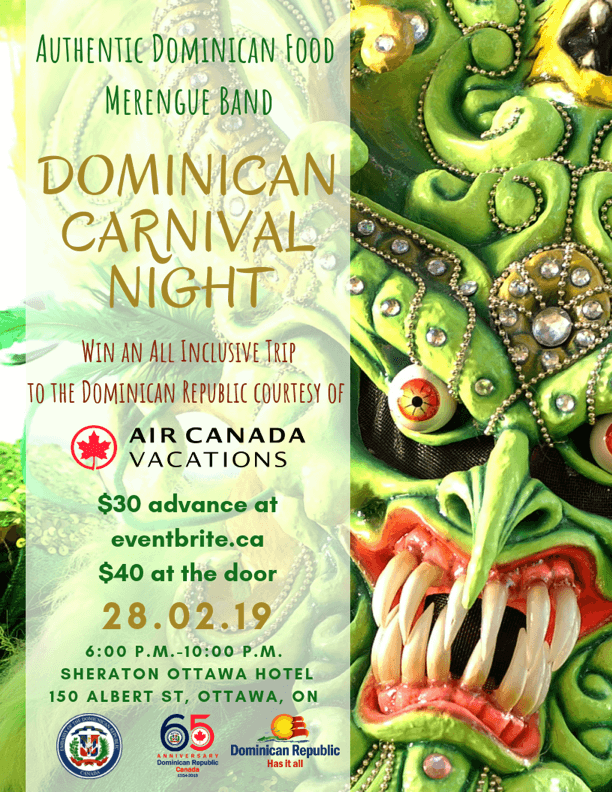 Looking for more than just a personal treat? No worries! Andrea’s Gerrard Street Bakery also offers custom orders: catering, wedding cakes and special occasion cakes. So next time you find yourself wandering around in downtown Toronto, be sure to stop in to Andrea’s Gerrard Street Bakery – and tell them Canadian Blog House sent you! Google Street View Of Andrea’s Gerrard Street Bakery (click on photo to enlarge). She’s at 635 Gerrard Street. 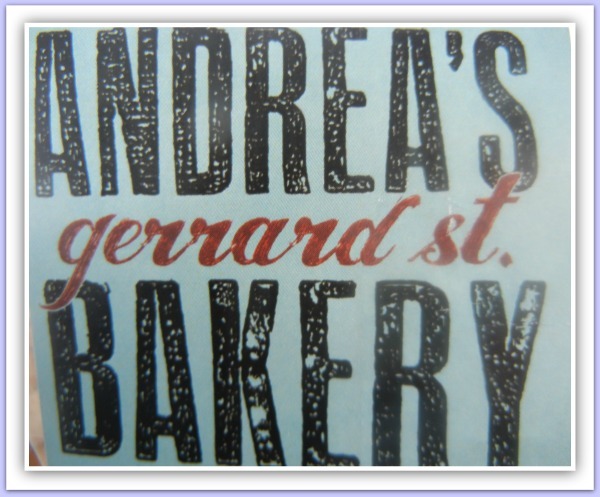 You can follow Andrea’s Gerrard Street Bakery on Twitter and Like them on Facebook. Disclosure: Canadian Blog House received treats from Andrea’s Gerrard Street Bakery from a friend and was under no obligation to post this review. All opinions are our own. I grew up in that area! Lovely! The cookies look yummy! 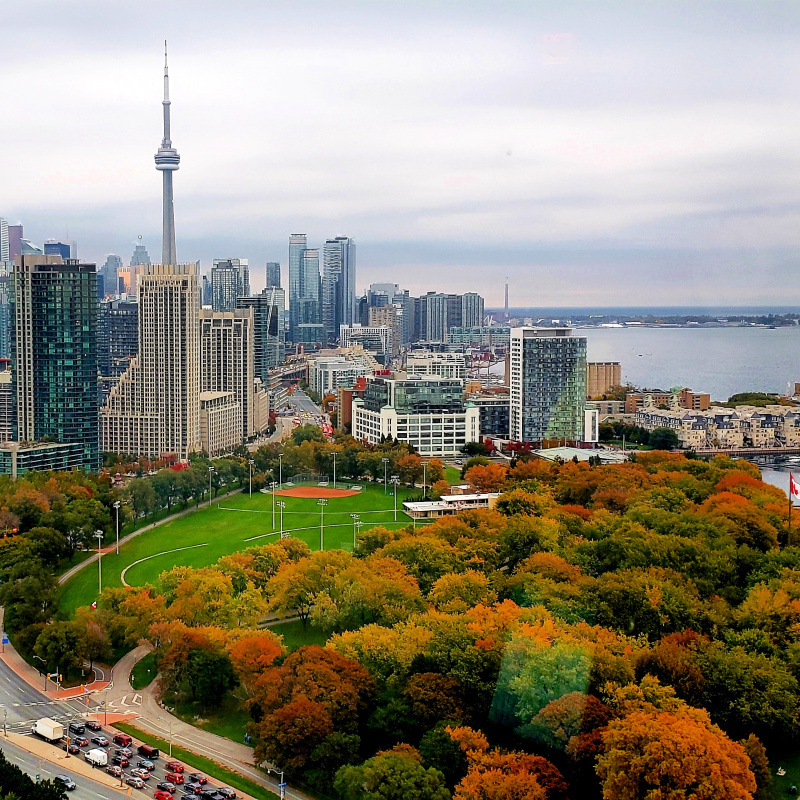 Although we recently moved from Toronto, we still have family there. What a find!! Will definitely b stopping by for some treats. My brother is also a butter tart fanatic and pretty picky about his tarts. Will have to him sample these. Thanks for the review Sandy. Have started following them on Twitter and FB too. That is so great, Elizabeth, that you might get a chance to visit Andrea’s bakery next time you are in town. Hehehe…those that are butter tart fanatics are usually pretty particular about this pastry 🙂 Hope your brother likes Andrea’s! Thanks so much for stopping by to comment, Elizabeth..and for following Andrea on her social media channels. I’m a big fan of supporting small Canadian businesses this way. Andrea’s bakery is fantastic. I love the brownies and peanut butter cookies. The coconut cream pie is to die for! There is nothing else like it . Also, if you like scones, this is the best place to go. There are still so many items on the menu that I would love to try, cjm. The coconut cream pie is definitely on my list…especially after what you have just said. Sounds amazing! Thanks for stopping by to comment – great to hear from another Andrea’s Gerrard Street Bakery fan! Andrea’s Bakery sounds like a local treasure! There isn’t anything quite like homemade cooking and baking. I love and devour homemade sweets. I love me some cookies and butter tarts! That one looks delicious! I can almost taste it! I would have to agree, Brandy, there’s nothing better than homemade goodness! Glad to hear you are a fan of these goodies like me 🙂 They are pretty easy to devour, lol. Thanks so much for stopping by to comment! Looks like a great place to check out. 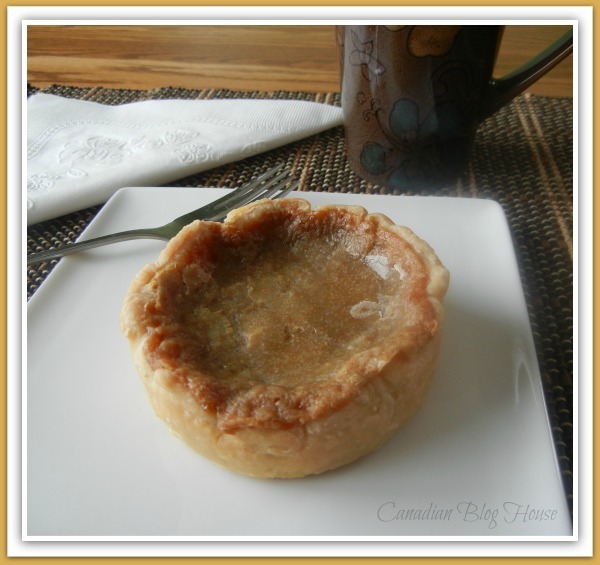 I am a huge butter tart fan.My fave! If you are a butter tart fan, Gingermommy, you definitely need to try Andrea’s when you are in TO next time. I have a feeling you would love them 🙂 Thanks for stopping by to comment! I have never heard of Andrea’s bakery but WOW does it look good! My favourite treat is BUTTER TARTS!! Yum that one looks great! I’m discovering how many Butter Tart fans are out there, Jenn! If you are ever in the area…you should stop in and treat yourself to one 🙂 Thanks so much for stopping by to comment! Another Butter Tart fan 🙂 Oooh…so are you close to the bakery? That would be pretty neat if you could stop by. I wish we had something like this in our neighbourhood. Lol…probably a good thing we don’t though (hips). Thanks for stopping by to comment, Little Miss Kate! Oh YUM!! you have me drooling! I love home baked goods but don’t have the time or the gift to make really good things so a neighborhood bakery is my Fav!! I have not tried an empanadas but they sound fantastic! I like to bake, Melissa….but there is no way I can bake anything that matches the amazing goodies Andrea makes. Yes, you really have to try the empanadas if you ever get the chance. They are divine! Thanks so much for stopping by to comment! I’ve never had the chance to meet her but…I’ve heard that, Erik 🙂 Thanks for stopping by! !